Cryopeak provides off grid mines with gas through LNG solutions for power generation and industrial heat. Cryopeak’s solutions are reliable and have been tested in the harshest of conditions in Canada’s north. Cryopeak culture of driving to solutions is very similar to mines. The mining environment can be tough. Fuel supply needs to be certain. 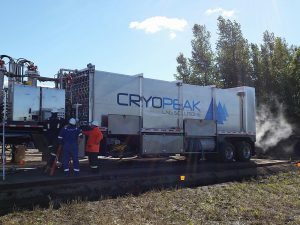 In serving our mining customers Cryopeak finds a way to deliver fuel to where it’s needed when it’s needed! Is your company using propane or diesel for industrial heat? Cryopeak’s LNG solutions are cleaner and more cost effective. Cryopeak has spent years on lowering costs through the whole LNG supply chain and can offer competitive solutions for your heating needs. Call us today for your quote on gas supply. LNG as fuel for power generation is a great way to reduce your costs and lower your emissions. Our LNG systems include double redundancy on critical items to enable a 99.9% up time. 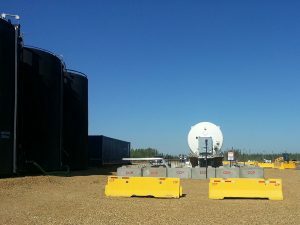 Because of this Cryopeak’s customers often use LNG as the only fuel supply to power their operations. The success of your operations is important to us. The robustness of our LNG supply chain and systems are reflective of this. 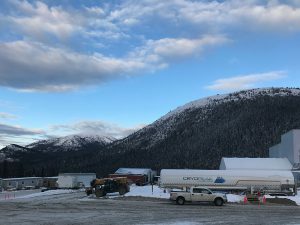 Cryopeak has developed LNG virtual pipeline solutions to enable gas supply for pipeline maintenance, peaking requirements, integrity testing, pigging operations, plant shutdowns and natural gas customers supply interruptions. 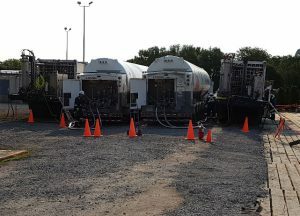 Our mobile solutions for pipeline supply disruptions utilizes our fleet of mobile vaporizers, storage containers and our fleet of LNG transport trailers to quickly rapidly and safely deliver a natural gas supply for hours, days or months. 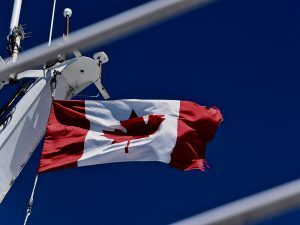 New legislation in the marine industry will significantly limit sulfur emissions from ships through emission control zones in North America and Northern Europe. With almost no sulphur content and low NOx particulate (compared to other marine fuel) LNG can help customers meet the new regulatory requirements. Cryopeak has a team of naval experts and related assets to help marine companies bunker their ships using LNG. 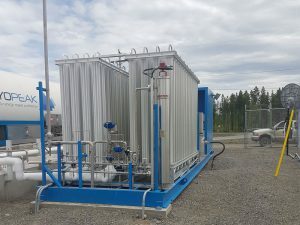 Cryopeak helps off grid industrial heat and power generation facilities to reduce their fuel costs by using natural gas through an LNG virtual pipeline. Cryopeak offers a complete LNG virtual pipeline solution including LNG procurement, LNG transportation and on site LNG processing equipment.